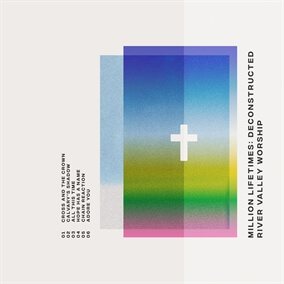 NEW from River Valley Worship - "Million Lifetimes: Deconstructed"
River Valley Worship released a six-song EP, "Million Lifetimes Deconstructed". This project was produced by David Leonard of All Sons & Daughters. This special EP includes new recordings of songs from the group's label debut, "Million Lifetimes", and features two new songs, "Cross and the Crown" and the holiday song "Adore You." Their current radio single, “Hope Has A Name,” is on the project with a deconstructed version of this song. Original Master MultiTracks and other worship-leading resources for "Million Lifetimes: Deconstructed" are now available.